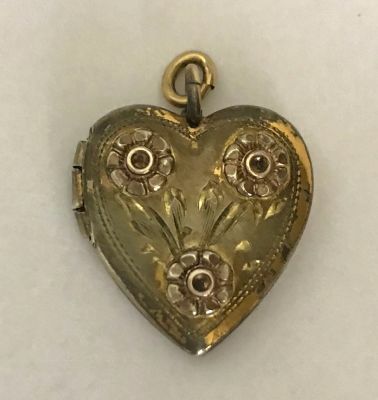 A heart shape gold filled double picture locket. The front has raised rose gold flowers. The back has vertical bands.